I’ve been meditating regularly about as long as I’ve been rock climbing, just over two years. No longer a novice, but still a beginner in many ways. 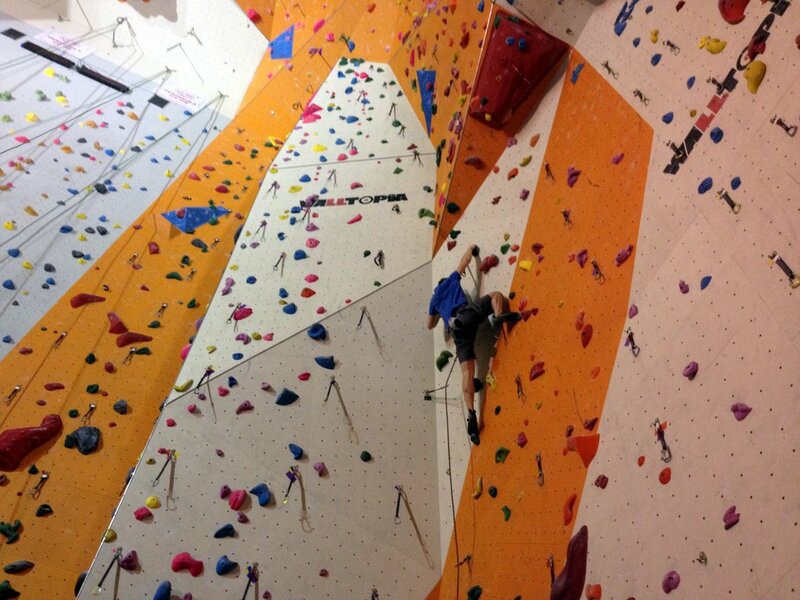 As I get more experience in both, I realize how meditating makes me a better climbing. Although I am not tackling particularly difficult grades, just the fact that they are two or three times taller than the walls I usually climb is enough to get my heart racing. Halfway up, my legs usually start shaking involuntarily and I just want to come back down to the ground. Recently, I decided I was determined to get to the top of these walls. It was going to be the start of my second outdoor climbing season, and this fear of heights thing was just not working for me anymore. What helped me was a trick I learned in meditation, concentrating on my breath. When I started feeling scared about 40 feet off the ground, I began following my breath. I followed it as it came in my nose, went down my chest and filled up my lower belly. I kept doing this for about 5-10 seconds, and it worked. I calmed down enough to settle the Elvis-leg and keep climbing. How long before you were thinking about dinner or your to-do list? If you were anything like me in the beginning, it didn’t take too long to get frustrated. It’s hard to focus! Imagine trying concentrating like this when you are doing something that really scares you. I started meditating with a group on a weekly basis when I going through my divorce. Meditation helped me through some really tough emotional times. And now that I am generally much happier, the ever increasing ability to concentrate is helping me be a better athlete too.